In the grand manner of Interview with the Vampire, Anne Rice's new novel moves across time and the continents, from nineteenth-century Vienna to a St. Charles Greek Revival mansion in present-day New Orleans to the dazzling capitals of the modern-day world, telling a story of two charismatic figures bound to each other by a passionate commitment to music as a means of rapture, seduction, and liberation. At the novel's center: a uniquely fascinating woman, Triana--who once dreamed of becoming a great musician--and the demonic fiddler Stefan, tormented ghost of a Russian aristocrat, who begins to prey upon her, using his magic violin first to enchant, then to dominate and draw her into a state of madness through the music she loves. But Triana understands the power of the music perhaps even more than does Stefan--and she sets out to resist Stefan and to fight not only for her sanity but for her life. The struggle draws them both into a terrifying supernatural realm where they find themselves surrounded by memories, by horrors, and by overwhelming truths. Battling desperately, they are at last propelled towards the novel's astonishing and unforgettable climax. 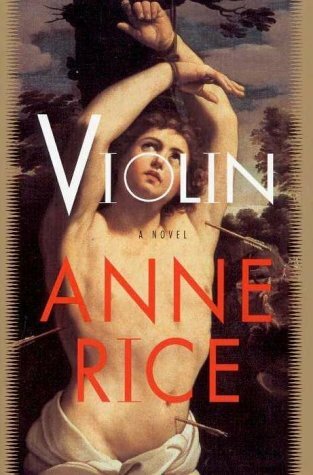 Violin is crowded with the history, the drama, the invention, and the romantic intensity that have become synonymous with Anne Rice at her incomparable best. If neatness counts for you, don't count on Anne Rice's musical-ghost novel Violin. It is an eruption of the author's personal demons, as messy as the monster bursting from that poor fellow's chest in the movie Alien. Like Rice, the heroine Triana lives in New Orleans, mourns a dead young daughter and a drunken mother, and is subject to uncanny visions. A violin-virtuoso ghost named Stefan time-trips and globetrots with Triana, taunting her for her inability to play his Stradivarius--which echoes composer Salieri's jealousy in Amadeus and possibly Rice's jealousy of her successful poet husband Stan Rice in the years before her own florid, lurid writing made her famous. The storytelling here is too abstract, but the almost certainly autobiographical emotions could not be more visceral. At one point, the narrator exclaims, "Shame, blame, maim, pain, vain!" But Rice's dip in the acid bath of memory was not in vain--she packs the pain of a lifetime into 289 pages.